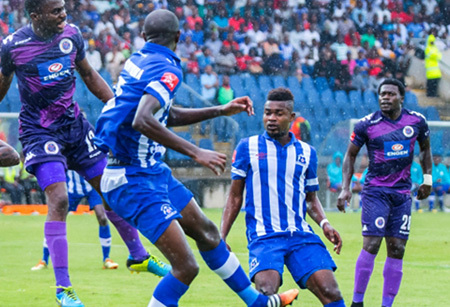 Maritzburg United host Ajax Cape Town in their penultimate home game of the 2014 / 2015 Absa Premiership season on Tuesday, 28th April 2015 at the Harry Gwala Stadium. Kick-off is set for 19h30. After suffering two back to back defeats against Supersport United and Mpumalanga Black Aces by narrow 1-0 margins, Steve Komphela’s charges showed immense character to defeat Bloemfontein Celtic away from home and move back into the Top 8 with only 4 games remaining this season. Ajax Cape Town will come into the game four points and two positions ahead of United, who will be looking at securing a valuable 3 points at the Harry Gwala Stadium.